Little Movie is a must see!! Not only does the movie star “Insecure” creator Issa Rae and “Blackish” star Marsai Martin, but the film has a great message. Marsai actually executive produced the film and she is only 14 years-old! 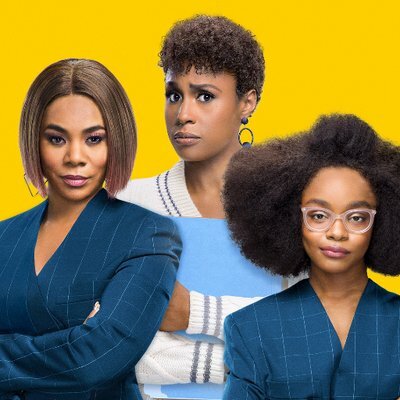 The film is about Jordan Davis, played by Regina Hall, who is a successful business owner, but she takes the people in her life for granted and is completely rude to them including her assistant April, played by Issa Rae. One day she is mean to the wrong person, which happens to be a young girl and she wishes that Jordan was little so she could see what it feels like to be walked and looked over. Jordan transitions into her old 13 year old self, but instead of having little confidence at that, she uses her strong confidence to get through middle school again, in which she had to re-enroll in. She makes friends and shows them how to be confident and even give them a makeup. Jordan dealt with bullying again as she relived her 13 year old self and she was being treated rude, just like how she treated the people around her when she was an adult. In the midst of being a child again, Jordan forgets that she has transitioned, so the small things like driving her own car, drinking alcohol and even entertaining her boyfriend, played by Luke James, she can’t do anymore because clearly there are bystanders. With Jordan dealing with the transition, there was so much comedy amongst her and her assistant April; from April having to whoop her in public for acting out, to April getting getting tipsy at a restaurant, which leads her and Jordan to singing a Mary J Blige duet and plenty more laughter. The message in this movie was, be respectful to people. You never know when you are going to need that person or be their shoes. This Will Packer comedy is a must-see and I encourage everyone to go see it who would love a good laugh and more importantly, support Marsai Martin’s debut producing film. The 75th Golden Globe Nominations Announced – And We’re Rooting For Everyone Black!